Roseanna brings a wealth of swing, melodic improvisation and heartfelt expression to the jazz idiom. She combines a vibrant energy and spirit, a deep understanding of the history and theoretical elements of jazz with her rhythmic, soulful southern roots to produce her own unique sound and style. Her many CDs have featured Elvin Jones, “Fat Head” Newman, George Coleman, Al Foster, Kenny Barron, Kenny Werner, Gary Bartz and Fred Hersch. Roseanna was inducted into the Arkansas Jazz Hall of Fame in 1998 along with Bob Dorough and John Stubbelfield. This was a great homecoming and return to her roots. Roseanna grew up in Texarkana, AR and moved to Houston, Texas where she was mentored by the great Arnett Cobb. After a very successful run in Houston at the Greenroom where she presented live radio shows and sang with the likes of Oscar Peterson, she made her move to New York City. Soon after her arrival, she began touring with jazz great, Lionel Hampton and became a regular at The Blue Note, Fat Tuesday's, Birdland and The Five Spot, as well as a concert at Town Hall with Steve Allen. Roseanna has been a “Jazz Ambassador” long before she was discovered by the Kennedy center. In 2003, she was hired to perform three concerts for the US Embassy in Beirut, Lebanon, with Hilton Ruiz and Andrew Jones to packed houses. On an extended trip to Bombay, India in 1998, Roseanna began her study in Indian classical vocal technique, which was documented in her recent article in the IAJE magazine. The article entitled, “From Bebop to Bombay” is also the name of her eclectic ensemble that debuted at Birdland in New York, featuring Renee Rosnes - piano, Don Braden - sax, Dan Weiss - tablas, Tim Horner - drums, Bob Bowen - bass and Classical Indian vocalist, Usha Kallianpurkar. Arts International sponsored her November 2002 appearance in Bombay, India for the Jazz Yatra Festival. Roseanna was also featured with “The Maribor Philharmonic” in Slovenia for their 2001 Christmas Concert that was televised throughout Eastern Europe (video available). Jazz pianist. Marian McPartland has recently featured Roseanna twice on NPR’s “Piano Jazz”, as well as recording “Cool Yule” with her for a NPR Christmas CD. 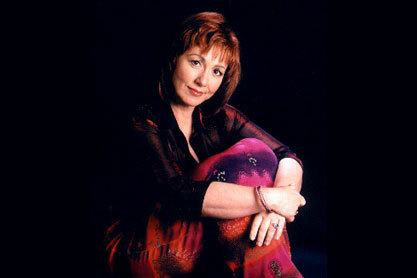 In May 2003, Roseanna performed with the legendary Benny Golson at the The New Jersey Performing Arts Center. Additionally in 2003, she was featured at The Roswell Center in Atlanta along with Freddie Cole and also appeared at The Virginia Arts Festival. Other recent performance highlights around the country include: The Women in Jazz Festival at the Kennedy Center, Frank Foster's 70th Birthday Concert for NPR, The Newark Jazz Festival, Charles Earland's Jazz Cruise, the Dallas Museum of Art Festival with George Coleman, the Caravan of Dreams with Tower of Power, the Santa Barbara Jazz Festival, the Telluride Jazz Festival recorded live for NPR, the Clearwater Jazz Festival, the Houston Jazz Fest, BET on Jazz with Ramsey Lewis, Chicago's Green Mill, a United States Airmen of Note concert and Blues Alley in Washington, DC, and stints in Los Angeles at the Jazz Bakery and the Catalina Bar. Roseanna is currently in her ninth year as Director of the Jazz Vocal Program at New Jersey City University. She was a resident faculty member at SUNY Purchase from 1999-2002. She has taught vocal jazz at the New Jersey Performing Arts Center Gifted Teens Program for five years and at Janice Borla's Vocal Jazz Camp in Naperville, Illinois (2003). “The Art of Vocal Jazz” with Mark Murphy (Davidoff Jazz Festival, Capetown, SA) and Kings College. Roseanna has also provided clinics and instruction at the Univ of Cincinnati, Univ of Southern California, Houston Community College, Memphis State U, North Texas State U, The Jazz Workshop in Nashville, TN., Webster University, St. Louis, MO, and the University of Miami. Contact us regarding booking information about Roseanna Vitro.